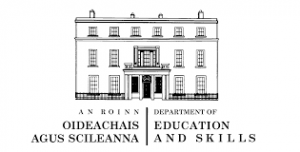 SCoTENS is grateful for the essential financial support provided by the Department of Education and Skills (Ireland) and the Department of Employment and Learning (Northern Ireland) and the Department of Education (Northern Ireland) that jointly support our programme of activities. The Secretariat of SCoTENS is provided by the Centre for Cross Border Studies. SCoTENS Administrator is Ms Eimear Donnelly.